Spring cleaning season is here. Meaning, it’s time to deep clean our lives starting with the nooks and crannies that surround us. 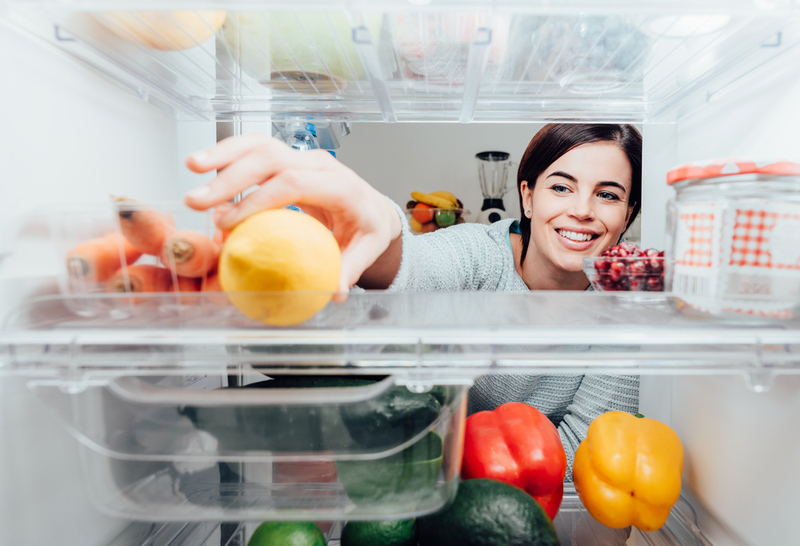 One of the most daunting tasks of this annual cleanse is the fridge. As leftovers pile up, jars from 2017 mold, and mysterious stains spread, it makes this arduous task all the more unnerving. A common mistake is when people clean around their items instead of taking them out. Many scrub under rotisserie chicken, spritz around milk containers, and spend more time shuffling items than actually cleaning. Not only is removing everything a great way to count your inventory, but you’ll be able to see what areas need the most attention. 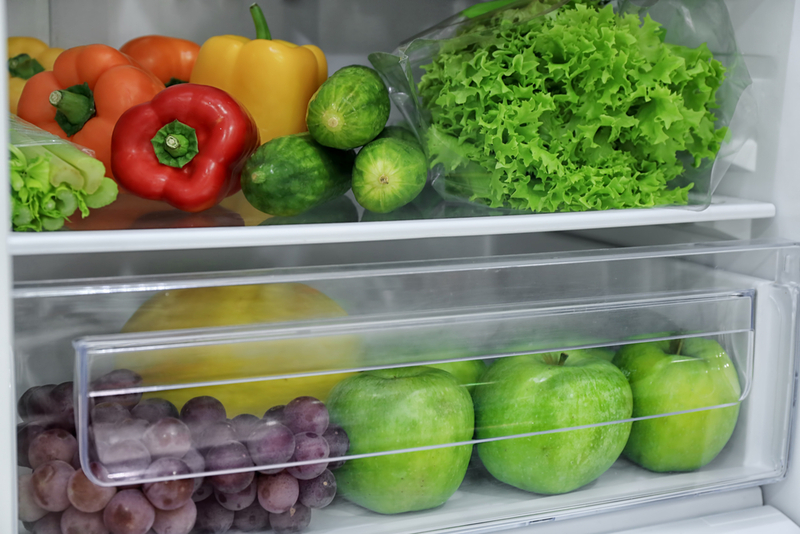 You don’t need an extensive list of supplies when tackling your icebox, but there are a few that are essential. First on your list is gloves. We often ignore icky messes with the fear of getting them on our hands. 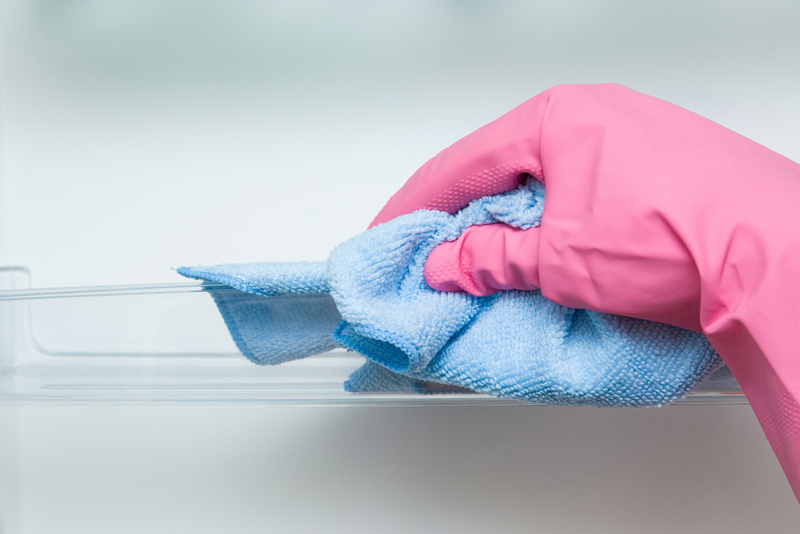 When you wear gloves, you’ll find yourself scrubbing harder. Since you don’t want to spend more time than you have to with expired items, be sure you also have a trash bag next to you for immediate disposal. Finally, find an eco-friendly cleaner and rags to wipe with. 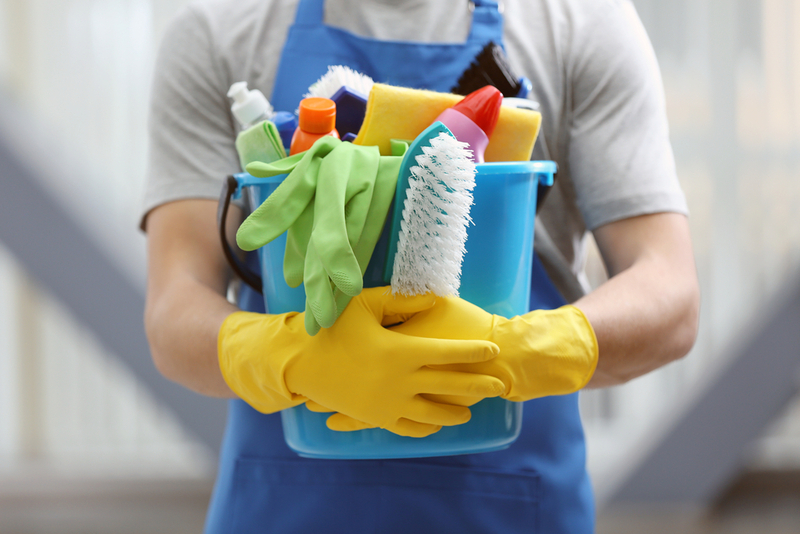 Click here for our rundown of green cleaning supplies you can use in the kitchen. 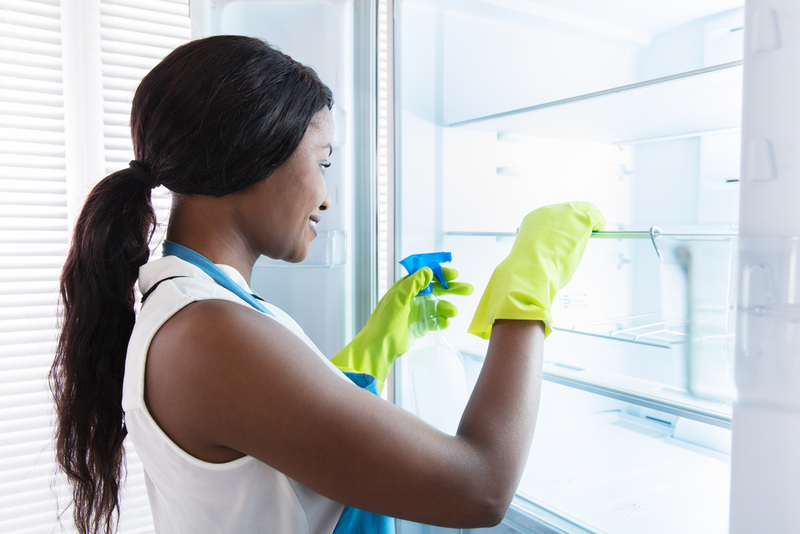 Now that your fridge is prepped and your supplies are stocked, it’s time to get scrubbing. Tackle drawers, shelves, and other awkwardly shaped surfaces first. If you come across a particularly stubborn spill or stain, run a rag under very hot water (be careful not to burn yourself! ), and hold it on the sticky substance for at least five seconds. The combination of heat, moisture, and pressure will detach those pesky particles from the surface. Fortunately, the best part of fridge cleaning is reorganizing. After tossing expired items, assess how you would like to organize your belongings. Do you want to color coordinate? Perhaps you want to make healthy items accessible and keep indulgences out of sight? If you’re not sure of your style, use this handy guide from The Kitchn. Looking to elevate your lifestyle with amazing floor plans and stunning kitchens? Contact the team at Lincoln to find a community near you.